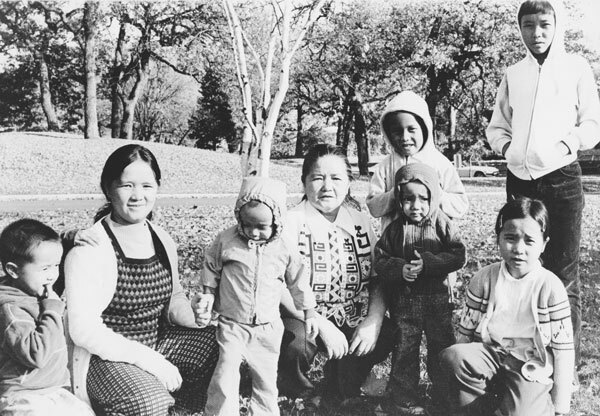 Yer Kong (second from left) and her family came to St. Paul in 1978. They were the first refugees helped by the St. Anthony Park Lutheran Church Refugee Committee. Joanne Karvonen has a list three pages long of all the refugee families St. Anthony Park Lutheran Church has worked with over the last 39 years. She runs her finger down each page: Laos, Vietnam, Eritrea, Ethiopia, Hungary, Somalia, Haiti, Cuba, Croatia, Bosnia, Sierra Leone, Liberia, Myanmar, Bhutan. The list traces past and current “problem spots of the world,” Karvonen said. 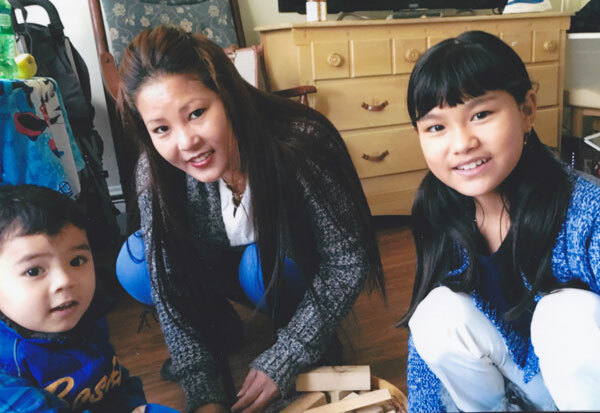 Since 1978, when Yer Kong and her six children left the Ban Vinai Refugee Camp in Thailand to start a new life in St. Paul, a group of congregants at the church has helped 59 families settle into new homes in the Twin Cities. Lak Maya Tamang and her two children are the most recent refugees helped by the church. Tamang, a 31-year-old Bhutanese refugee who had been living in a camp in Nepal for 25 years, was welcomed by the church in January. The church’s Refugee Committee got its start just as a new wave of immigrants began coming into the United States: the Hmong, an ethnic group living in Southeast Asia who were recruited to fight in CIA guerilla units against Chinese-backed North Vietnamese and Lao communist forces. That word “flee” is key when talking about refugees, said Karvonen and Mergenthal. Lak Maya Tamang and her two children came from a refugee camp in Nepal and are the most recent family to be mentored by the church committee. Refugees are “people in horrible situations who have no hope, and it should be our mission to help them, no matter who they are,” Karvonen said. Yer Kong and her family arrived in Minnesota in late summer, three years after the United States pulled out of Vietnam. The family spoke no English, and there were no Hmong translators in the Twin Cities. 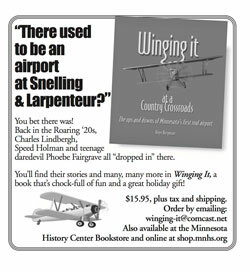 “There were maybe 30 Hmong people in the whole city,” at that time, Mergenthal said. The family stayed in the second floor of the church, sleeping in sleeping bags on the floor for several weeks before the church found housing for them. “There were no shower facilities, so people took them over to [Luther] seminary for showers,” Karvonen said. “They really didn’t know anything about how things worked over here.” Electric appliances, modern plumbing—these were things church members had to teach them how to use. And there was a learning curve for the church committee members, too. “Social service agencies like Lutheran Social Services and Catholic Charities weren’t geared up yet to deal with this massive influx of people,” Karvonen said. Church members helped the family get medical and public assistance, go to medical appointments, and sign the children up for school. “All that bureaucratic paperwork had to be done by the church committee, which had no experience doing this kind of work,” she said. But it wasn’t just the six committee members at the time who got involved with the family. “The thing that was really impressive was that the whole congregation bought into the effort. There were countless other people who were involved,” Karvonen said. After finding a home for Yer Kong and her family, a team of tutors visited each week to help teach her English. And after enrolling the two youngest children in a co-op nursery school, committee members accompanied Yer Kong during the school’s required volunteer time to help her understand what was being said and done. After about three years, Yer Kong moved her family to California, where a large community of Hmong people had settled. The family stays in touch. Mergenthal received a Christmas card and photo of the family in December. Her children have their own families now. One son is a minister, one is a teacher, one is a social worker, two are postal employees. After the experience with Kong and her family, the church committee “really got moving,” Karvonen said. In 1980, the church welcomed Wang Yao Her and Seng Kong and their family to St. Paul, and President Jimmy Carter signed the U.S. Refugee Act of 1980, which outlined procedures on how to deal with refugees. “The social service agencies geared up, got more staff and took over many of the jobs that were done in the beginning here,” Karvonen said. After refugees are vetted through the United Nations—a process that can take up to two years—they go through another vetting process with the U.S. State Department. The State Department then works with nine domestic nonprofit organizations to resettle refugees. Those organizations have affiliates in each state. In Minnesota, five social service agencies—Catholic Charities, International Institute of Minnesota, Lutheran Social Services, Minnesota Council of Churches and Arrive Ministries—sponsor refugees and do the bureaucratic work. The St. Anthony Park Lutheran Church Refugee Committee works with Lutheran Social Services, which partners the committee with new families. Once called “sponsors,” they are now called “mentors” and mostly provide furniture, clothing and friendship to the families. 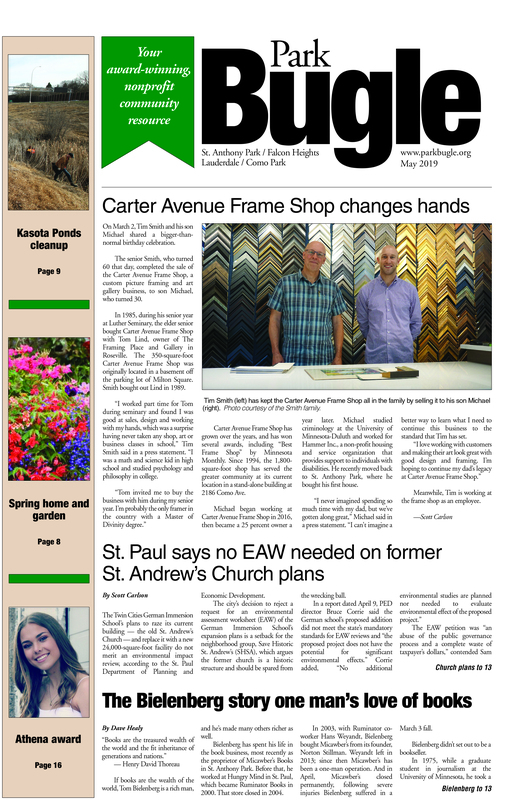 Committee member Shelley Weiss shops regularly at second-hand stores to find winter clothing and other items for families, and Elaine Philips, chair of the committee, posts notices in the church’s bulletin outlining what a particular family may need, Karvonen said. “It’s been amazing. We put out the word for either money or a used TV or an old couch, or whatever, and we always get it.” For years, the offering at the Thanksgiving Day church service has been dedicated to the Refugee Committee. “Theologically, it’s what we are called to do: Show welcome to the stranger,” Mergenthal said. The Bugle spoke with Karvonen and Mergenthal just before the 9th Circuit Court of Appeals rejected President Trump’s executive order barring travelers and immigrants from select countries on Feb. 10. With the promise of a revamped order on its way, if Trump succeeds in preventing refugees from settling in the United States, the work of the church committee will stop, of course. That frustrates Karvonen. As she looked through a scrapbook of photos of families who have benefited from the work of the committee, Karvonen pointed to a family from Somalia. “He was a banker in Somalia and he always told us how beautiful it was in Mogadishu and wanted to take us there,” she said. “People think refugees are just dying to come here and [that] this is where they’ve always wanted to live, and so they cook up a reason to come,” Karvonen said. “I’ve never met one who wouldn’t rather live in their home country. If they had a choice they would go back to their home, but they can’t.